Not to be confused with Cossacks. For other uses, see Kazakh (disambiguation). The Kazakhs (also spelled Kazaks, Qazaqs; Kazakh: Қазақ, Qazaq, قازاق‎ /qɑ'zɑq/ (help·info), Qazaqtar, Қазақтар, قازاقتار‎ /qɑzɑq'tɑr/ (help·info); the English name is transliterated from Russian) are a Turkic people who mainly inhabit the Ural mountains and northern parts of Central Asia (largely Kazakhstan, but also parts of Uzbekistan, China, Russia and Mongolia), the region also known as the Eurasian sub-continent. Kazakh identity is of medieval origin and was strongly shaped by the foundation of the Kazakh Khanate between 1456 and 1465, when several tribes under the rule of the sultans Zhanibek and Kerey departed from the Khanate of Abu'l-Khayr Khan. The Kazakhs are descendants of the Turkic and medieval Mongol tribes – Argyns, Dughlats, Naimans, Jalairs, Keraits, Khazars, Qarluqs; and of the Kipchaks and Cumans, and other tribes such as the Huns and Nogais, and ancient Iranian nomads like the Sarmatians, Saka and Scythians who populated the territory between Siberia and the Black Sea before the 5th and 13th centuries AD. The Kazakhs likely began using this name during either the 15th or 16th century. There are many theories on the origin of the word Kazakh or Qazaq. Some speculate that it comes from the Turkish verb qaz ("to wander"), because the Kazakhs were wandering steppemen; or that it derives from the Proto-Turkic word khasaq (a wheeled cart used by the Kazakhs to transport their yurts and belongings). Another theory on the origin of the word Kazakh (originally Qazaq) is that it comes from the ancient Turkic word qazğaq, first mentioned on the 8th century Turkic monument of Uyuk-Turan. According to Turkic linguist Vasily Radlov and Orientalist Veniamin Yudin, the noun qazğaq derives from the same root as the verb qazğan ("to obtain", "to gain"). Therefore, qazğaq defines a type of person who seeks profit and gain. Kazakh was a common term throughout medieval Central Asia, generally with regard to individuals or groups who had taken or achieved independence from a figure of authority. Timur described his own youth without directory authority as his Qazaqliq ("Qazaq-ness"). At the time of the Uzbek nomads' Conquest of Central Asia, the Uzbek Abu'l-Khayr Khan had differences with the Chinggisid chiefs Giray/Kirey and Janibeg/Janibek, descendants of Urus Khan. These differences probably resulted from the crushing defeat of Abu'l-Khayr Khan at the hands of the Qalmaqs. Kirey and Janibek moved with a large following of nomads to the region of Zhetysu/Semirechye on the border of Moghulistan and set up new pastures there with the blessing of the Moghul Chingisid Esen Buqa, who hoped for a buffer zone of protection against the expansion of the Oirats. It is not explicitly explained that this is why the later Kazakhs took the name permanently, but it is the only historically verifiable source of the ethnonym. The group under Kirey and Janibek are called in various sources Qazaqs and Uzbek-Qazaqs (those independent of the Uzbek khans). The Russians originally called the Kazakhs 'Kirgiz' and later Kirghiz-Kaisak to distinguish them from the Kyrgyz proper. Kazakh guard at Nowruz celebrations in Nursultan. In the 17th century, Russian convention seeking to distinguish the Qazaqs of the steppes from the Cossacks of the Imperial Russian Army suggested spelling the final consonant with "kh" instead of "q" or "k", which was officially adopted by the USSR in 1936. The Russian term Cossack probably comes from the same Kypchak etymological root: wanderer, brigand, independent free-booter. Due to their nomadic pastoral lifestyle, Kazakhs kept an epic tradition of oral history. The nation, which amalgamated nomadic tribes of various Kazakh origins, managed to preserve the distant memory of the original founding clans. It was important for a Kazakh to know his or her genealogical tree for no less than seven generations back (known as şejire, from the Arabic word shajara – "tree"). Approximate areas occupied by the three Kazakh jüz in the early 20th century. In modern Kazakhstan, tribalism is fading away in business and government life. Still it is common for a Kazakh man or woman to ask another one which tribe he or she belongs to when getting acquainted with each other. Nowadays, it is more of a tradition than necessity. There is no hostility between tribes. Kazakhs, regardless of their tribal origin, consider themselves one nation. There is much debate surrounding the origins of the Hordes. Their age is unknown so far in extant historical texts, with the earliest mentions in the 17th century. The Turkologist Velyaminov-Zernov believed that it was the capture of the important cities of Tashkent, Yasi, and Sayram in 1598 by Tevvekel (Tauekel/Tavakkul) Khan that separated the Qazaqs, as only a portion of the Century possessed the cities. This theory suggests that the Qazaqs then divided among a wider territory after expanding from Zhetysu into most of the Dasht-i Qipchaq, with a focus on the trade available through the cities of the middle Syr Darya, of which Sayram and Yasi belonged. The Junior juz originated from the Nogais of the Nogai Horde. The Kazakh language is a member of the Turkic language family, as are Uzbek, Kyrgyz, Tatar, Uyghur, Turkish, Azeri, Turkmen, and many other living and historical languages spoken in Eastern Europe, Central Asia, Xinjiang, and Siberia. Kazakh belongs to the Kipchak (Northwestern) group of the Turkic language family. Kazakh is characterized, in distinction to other Turkic languages, by the presence of /s/ in place of reconstructed proto-Turkic */ʃ/ and /ʃ/ in place of */tʃ/; furthermore, Kazakh has /ʒ/ where other Turkic languages have /j/. Kazakh, like most of the Turkic language family lacks phonemic vowel length, and as such there is no distinction between long and short vowels. Kazakh was written with the Arabic script during the 19th century, when a number of poets, educated in Islamic schools, incited revolt against Russia. Russia's response was to set up secular schools and devise a way of writing Kazakh with the Cyrillic alphabet, which was not widely accepted. By 1917, the Arabic script was reintroduced, even in schools and local government. In 1927, a Kazakh nationalist movement sprang up but was soon suppressed. At the same time the Arabic script was banned and the Latin alphabet was imposed for writing Kazakh. The native Latin alphabet was in turn replaced by the Cyrillic alphabet in 1940 by soviet interventionists. Today, there are efforts to return to the Latin script. Kazakh is a state (official) language in Kazakhstan. It is also spoken in the Ili region of the Xinjiang Uyghur Autonomous Region in the People's Republic of China, where the Arabic script is used, and in western parts of Mongolia (Bayan-Ölgii and Khovd province), where Cyrillic script is in use. European Kazakhs use the Latin alphabet. Ancestors of modern Kazakhs believed in Shamanism and Tengrism, then Zoroastrianism, Buddhism and Christianity including Church of the East. Islam was first introduced to ancestors of modern Kazakhs during the 8th century when the Arab missionaries entered Central Asia. Islam initially took hold in the southern portions of Turkestan and thereafter gradually spread northward. Islam also took root due to the zealous missionary work of Samanid rulers, notably in areas surrounding Taraz where a significant number of Turks accepted Islam. Additionally, in the late 14th century, the Golden Horde propagated Islam amongst the Kazakhs and other tribes. During the 18th century, Russian influence toward the region rapidly increased throughout Central Asia. Led by Catherine, the Russians initially demonstrated a willingness in allowing Islam to flourish as Muslim clerics were invited into the region to preach to the Kazakhs whom the Russians viewed as "savages" and "ignorant" of morals and ethics. However, Russian policy gradually changed toward weakening Islam by introducing pre-Islamic elements of collective consciousness. Such attempts included methods of eulogizing pre-Islamic historical figures and imposing a sense of inferiority by sending Kazakhs to highly elite Russian military institutions. In response, Kazakh religious leaders attempted to bring religious fervor by espousing pan-Turkism, though many were persecuted as a result. During the Soviet era, Muslim institutions survived only in areas where Kazakhs significantly outnumbered non-Muslims due to everyday Muslim practices. In an attempt to conform Kazakhs into Communist ideologies, gender relations and other aspects of the Kazakh culture were key targets of social change. In more recent times however, Kazakhs have gradually employed a determined effort in revitalizing Islamic religious institutions after the fall of the Soviet Union. Some Kazakhs continue to identify with their Islamic faith, and even more devotedly in the countryside. Those who claim descent from the original Muslim soldiers and missionaries of the 8th century command substantial respect in their communities. Kazakh political figures have also stressed the need to sponsor Islamic awareness. For example, the Kazakh Foreign Affairs Minister, Marat Tazhin, recently emphasized that Kazakhstan attaches importance to the use of "positive potential Islam, learning of its history, culture and heritage." Pre-Islamic beliefs—the worship of the sky, of the ancestors, and of fire, for example—continued to a great extent to be preserved among the common people, however. The Kazakhs believed in the supernatural forces of good and evil spirits, of wood goblins and giants. To protect themselves from them, as well as from the evil eye, the Kazakhs wore protection beads and talismans. Shamanic beliefs are still widely preserved among the Kazakhs, as well as belief in the strength of the bearers of this worship—the shamans, which the Kazakhs call bakhsy. In contradistinction to the Siberian shamans, who used drums during their rituals, the Kazakh shamans, who could also be men or women, played (with a bow) on a stringed instrument similar to a large violin. At present both Islamic and pre-Islamic beliefs continue to be found among the Kazakhs, especially among the elderly. According to 2009 national census 39,172 Kazakhs are Christians. According to mitochondrial DNA studies (where sample consisted of only 246 individuals), the main maternal lineages of Kazakhs are: D (17.9%), C (16%), G (16%), A (3.25%), F (2.44%) of Eastern Eurasian origin (58%), and haplogroups H (14.1), T (5.5), J (3.6%), K (2.6%), U5 (3%), and others (12.2%) of western Eurasian origin (41%). An analysis of ancient Kazakhs found that East Asian haplogroups such as A and C did not begin to move into the Kazakh steppe region until around the time of the Xiongnu (1st millennia BCE), which is around the onset of the Sargat Culture as well (Lalueza-Fox 2004). In a sample of 54 Kazakhs and 119 Altaian Kazakh, the main paternal lineages of Kazakhs are: C (66.7% and 59.5%), O (9% and 26%), N (2% and 0%), J (4% and 0%), R (9% and 1%). In a sample of 3 ethnic Kazakhs the main paternal lineages of Kazakhs are C, R, G, J, N, O, Q. The distribution was inhomogeneous for some Y-DNA haplogroups: because of this lack of homogeneity among Kazakhs in regard to Y-chromosome DNA, the real percentage of present-day Kazakhs who belong to each Y-DNA haplogroup may differ from the percentages found in this study depending on the proportion of each tribe in the total population of Kazakhs. Muhammad Salyk Babazhanov - Kazak anthropologist, a member of Russian Geographical Society. In Russia, the Kazakh population lives primarily in the regions bordering Kazakhstan. According to latest census (2002) there are 654,000 Kazakhs in Russia, most of whom are in the Astrakhan, Volgograd, Saratov, Samara, Orenburg, Chelyabinsk, Kurgan, Tyumen, Omsk, Novosibirsk, Altai Krai and Altai Republic regions. Though ethnically Kazakh, after the dissolution of the Soviet Union in 1991, these people acquired Russian citizenship. Kazakhs migrated into Dzungaria in the 18th century after the Dzungar genocide resulted in the native Buddhist Dzungar Oirat population being massacred. Kazakhs, called Hāsàkè Zú in Chinese (哈萨克族; literally "Kazakh people" or "Kazakh tribe") are among 56 ethnic groups officially recognized by the People's Republic of China. Thousands of Kazakhs fled to China during the 1932–1933 famine in Kazakhstan. In 1936, after Sheng Shicai expelled 30,000 Kazakhs from Xinjiang to Qinghai, Hui led by General Ma Bufang massacred their fellow Muslim Kazakhs, until there were 135 of them left. In 1934, 1935, and from 1936–1938 Qumil Eliqsan led approximately 18,000 Kerey Kazakhs to migrate to Gansu, entering Gansu and Qinghai. In China there is one Kazakh autonomous prefecture, the Ili Kazakh Autonomous Prefecture in the Xinjiang Uyghur Autonomous Region and three Kazakh autonomous counties: Aksai Kazakh Autonomous County in Gansu, Barkol Kazakh Autonomous County and Mori Kazakh Autonomous County in the Xinjiang Uyghur Autonomous Region. Many Kazakhs in China are not fluent in Standard Chinese, instead speaking the Kazakh language. "In that place wholly faraway", based on a Kazakh folk song, is very popular outside the Kazakh regions, especially in the Far Eastern countries of China, Japan and Korea. At least one million Uyghurs, Kazakhs and other ethnic Muslims in Xinjiang have been detained in mass detention camps, termed "reeducation camps", aimed at changing the political thinking of detainees, their identities, and their religious beliefs. 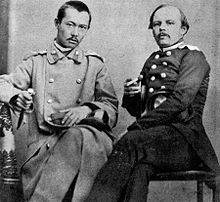 In the 19th century, the advance of the Russian Empire troops pushed Kazakhs to neighboring countries. In around 1860, part of the Middle Jüz Kazakhs came to Mongolia and were allowed to settle down in Bayan-Ölgii, Western Mongolia and for most of the 20th century they remained an isolated, tightly knit community. Ethnic Kazakhs (so-called Altaic Kazakhs or Altai-Kazakhs) live predominantly in Western Mongolia in Bayan-Ölgii Province (88.7% of the total population) and Khovd Province (11.5% of the total population, living primarily in Khovd city, Khovd sum and Buyant sum). In addition, a number of Kazakh communities can be found in various cities and towns spread throughout the country. Some of the major population centers with a significant Kazakh presence include Ulaanbaatar (90% in khoroo #4 of Nalaikh düüreg, Töv and Selenge provinces, Erdenet, Darkhan, Bulgan, Sharyngol (17.1% of population total) and Berkh cities. 400,000 Kazakhs live in Karakalpakstan and 100,000 in Tashkent province. Since the fall of the Soviet Union, the vast majority of Kazakhs are returning to Kazakhstan, mainly to Manghistau Oblast. Most Kazakhs in Karakalpakstan are descendants of one of the branches of "Junior juz" (Kişi juz) - Adai tribe. Iran bought Kazakh slaves who were falsely masqueraded as Kalmyks by slave dealers from the Khiva and Turkmens. Iranian Kazakhs live mainly in Golestan Province in northern Iran. According to ethnologue.org, in 1982 there were 3000 Kazakhs living in the city of Gorgan. Since the fall of the Soviet Union, the number of Kazakhs in Iran decreased due to emigration to their historical motherland. Afghan Kypchaks are Aimak (Taimeni) tribe of Kazakh origin that can be found in Obi district to the east of the western Afghan province of Herat, between the rivers Farāh Rud and Hari Rud. Afghan Kypchaks, together with the Durzais and Kakar, two other tribes of Pushtun origin, constitute the Taymani tribe. There are approximately 440,000 Afghan Kipchaks. Turkey received refugees from among the Pakistan-based Kazakhs, Turkmen, Kirghiz, and Uzbeks numbering 3,800 originally from Afghanistan during the Soviet–Afghan War. Kayseri, Van, Amasya, Çiçekdağ, Gaziantep, Tokat, Urfa, and Serinyol received via Adana the Pakistan-based Kazakh, Turkmen, Kirghiz, and Uzbek refugees numbering 3,800 with UNHCR assistance. In 1954 and 1969 Kazakhs migrated into Anatolia's Salihli, Develi and Altay regions. Turkey became home to refugee Kazakhs. The Kazakh Turks Foundation (Kazak Türkleri Vakfı) is an organization of Kazakhs in Turkey. One of the most commonly used traditional musical instruments of the Kazakhs is the dombra, a plucked lute with two strings. It is often used to accompany solo or group singing. Another popular instrument is kobyz, a bow instrument played on the knees. Along with other instruments, these two instruments play a key role in the traditional Kazakh orchestra. 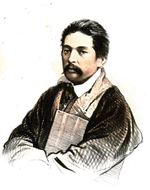 A notable composer is Kurmangazy, who lived in the 19th century. After studying in Moscow, Gaziza Zhubanova became the first woman classical composer in Kazakhstan, whose compositions reflect Kazakh history and folklore. A notable singer of the Soviet epoch is Roza Rymbaeva, she was a star of the trans-Soviet-Union scale. A notable Kazakh rock band is Urker, performing in the genre of ethno-rock, which synthesises rock music with the traditional Kazakh music. ^ "Агентство Республики Казахстан по статистике. Этнодемографический сборник Республики Казахстан 2014". ^ a b "Russia National Census 2010". ^ "Place of birth for the foreign-born population in the United States, Universe: Foreign-born population excluding population born at sea, 2014 American Community Survey 5-Year Estimates". United States Census Bureau. Retrieved 16 July 2013. ^ "Казахское общество Турции готово стать объединительным мостом в крепнущей дружбе двух братских народов - лидер общины Камиль Джезер". Retrieved 18 March 2015. ^ "2011 National Household Survey: Data tables". Retrieved 16 July 2013. ^ "Казахи "ядерного" Ирана". Retrieved 18 March 2015. ^ ""Казахи доказали, что являются неотъемлемой частью иранского общества и могут служить одним из мостов, связующих две страны" - представитель диаспоры Тойжан Бабык". Retrieved 18 March 2015. ^ "UAE´s population – by nationality". BQ Magazine. 12 April 2015. Archived from the original on 11 July 2015. Retrieved 12 July 2015. ^ "Bevölkerung nach Staatsangehörigkeit und Geburtsland". Statistik Austria. Retrieved 18 March 2015. ^ population census 2009 Archived 3 February 2012 at WebCite: National composition of the population. ^ "Kasachische Diaspora in Deutschland. Botschaft der Republik Kasachstan in der Bundesrepublik Deutschland". ^ "The Kazak Ethnic Group". Retrieved 18 March 2015. ^ a b "Religion and expressive culture – Kazakhs". Everyculture.com. Retrieved 5 February 2012. ^ a b "Итоги национальной переписи населения 2009 года (Summary of the 2009 national census)" (in Russian). Agency of Statistics of the Republic of Kazakhstan. Archived from the original on 12 June 2013. Retrieved 21 May 2013. ^ "Kipchak (people)". Encyclopædia Britannica. Retrieved 5 February 2012. ^ Togan, Z. V. (1992). "The Origins of the Kazaks and the Uzbeks". Central Asian Survey. 11 (3). doi:10.1080/02634939208400781. ^ "Archived copy". Archived from the original on 9 November 2013. Retrieved 16 February 2015. CS1 maint: Archived copy as title (link). ^ "Kazakh Genetics — DNA of Turkic people from Kazakhstan and surrounding regions". Retrieved 18 March 2015. ^ Richard Orange (3 October 2010). "Kazakhs striving to prove Genghis Khan descent". The Daily Telegraph. Retrieved 18 March 2015. ^ Berezina, Galina; Svyatova, Gulnara; Makhmutova, Zhanar (2011). "The analysis of the genetic structure of the Kazakh population as estimated from mitochondrial DNS polymorphism" (PDF). Medical and Health Science Journal. 6: 2–6. doi:10.15208/mhsj.2010.99 – via academicpublishingplatforms.com. ^ Barthold, V. V. (1962). Four Studies on the History of Central Asia. vol. 3. Translated by V. & T. Minorsky. Leiden: Brill Publishers. p. 129. ^ Olcott, Martha Brill (1995). The Kazakhs. Hoover Press. p. 4. ISBN 978-0-8179-9351-1. Retrieved 7 April 2009. ^ "Уюк-Туран" [Uyuk-Turan] (in Russian). Archived from the original on 5 February 2006. ^ Yudin, Veniamin P. (2001). Центральная Азия в 14–18 веках глазами востоковеда [Central Asia in the eyes of 14th–18th century Orientalists]. Almaty: Dajk-Press. ISBN 978-9965-441-39-4. ^ Subtelny, Maria Eva (1988). "Centralizing Reform and Its Opponents in the Late Timurid Period". Iranian Studies. Taylor & Francis, on behalf of the International Society of Iranian Studies. 21 (1/2: Soviet and North American Studies on Central Asia): 123–151. doi:10.1080/00210868808701712. JSTOR 4310597. ^ Bregel, Yuri (1982). "Abu'l-Kayr Khan". Encyclopædia Iranica. 1. Routledge & Kegan Paul. pp. 331–332. ^ Barthold, V. V. (1962). "History of the Semirechyé". Four Studies on the History of Central Asia. vol. 1. Translated by V. & T. Minorsky. Leiden: Brill Publishers. pp. 137–65. ^ Khodarkovsky, Michael. Russia's Steppe Frontier: The Making of a Colonial Empire, 1500–1800, pg. 39. ^ Atabaki, Touraj. Central Asia and the Caucasus: transnationalism and diaspora. ^ "Полиморфизм митохондриальной ДНК в казахской популяции". ^ ""aDNA from the Sargat Culture" by Casey C. Bennett and Frederika A. Kaestle". Retrieved 18 March 2015. ^ Zerjal T, Wells RS, Yuldasheva N, Ruzibakiev R, Tyler-Smith C (September 2002). "A genetic landscape reshaped by recent events: Y-chromosomal insights into central Asia". Am. J. Hum. Genet. 71 (3): 466–82. doi:10.1086/342096. PMC 419996. PMID 12145751. ^ E. E. Ashirbekov, D. M. Botbaev, A. M. Belkozhaev, A. O. Abayldaev, A. S. Neupokoeva, J. E. Mukhataev, B. Alzhanuly, D. A. Sharafutdinova, D. D. Mukushkina, M. B. Rakhymgozhin, A. K. Khanseitova, S. A. Limborska, N. A. Aytkhozhina, "Distribution of Y-Chromosome Haplogroups of the Kazakh from the South Kazakhstan, Zhambyl, and Almaty Regions." Reports of the National Academy of Sciences of the Republic of Kazakhstan, ISSN 2224-5227, Volume 6, Number 316 (2017), 85 - 95. ^ "Ethnic composition of Russia (national censuses)". Demoscope.ru. 27 May 2007. Retrieved 5 February 2012. ^ American Academy of Political and Social Science (1951). Annals of the American Academy of Political and Social Science, Volumes 276–278. American Academy of Political and Social Science. p. 152. Retrieved 28 June 2010. ^ American Academy of Political and Social Science (1951). The Annals of the American Academy of Political and Social Science, Volume 277. American Academy of Political and Social Science. p. 152. Retrieved 29 September 2012. A group of Kazakhs, originally numbering over 20000 people when expelled from Sinkiang by Sheng Shih-ts'ai in 1936, was reduced, after repeated massacres by their Chinese coreligionists under Ma Pu-fang, to a scattered 135 people. ^ Hsaio-ting Lin (1 January 2011). Tibet and Nationalist China's Frontier: Intrigues and Ethnopolitics, 1928–49. UBC Press. p. 112. ISBN 978-0-7748-5988-2. ^ Hsaio-ting Lin (1 January 2011). Tibet and Nationalist China's Frontier: Intrigues and Ethnopolitics, 1928–49. UBC Press. pp. 231–. ISBN 978-0-7748-5988-2. ^ Blackwood's Magazine. William Blackwood. 1948. p. 407. ^ Linda Benson (1988). The Kazaks of China: Essays on an Ethnic Minority. Ubsaliensis S. Academiae. p. 195. ISBN 978-91-554-2255-4. ^ "Central Asians Organize to Draw Attention to Xinjiang Camps". The Diplomat. 4 December 2018. ^ "Majlis Podcast: The Repercussions Of Beijing's Policies In Xinjiang". Radio Free Europe/Radio Liberty (RFE/RL). 9 December 2018. ^ "Families Of The Disappeared: A Search For Loved Ones Held In China's Xinjiang Region". NPR. 12 November 2018. ^ electricpulp.com. "BARDA and BARDA-DĀRI iv. From the Mongols – Encyclopaedia Iranica". www.iranicaonline.org. ^ Keith Edward Abbott; Abbas Amanat (1983). Cities & trade: Consul Abbott on the economy and society of Iran, 1847–1866. Published by Ithaca Press for the Board of the Faculty of Oriental Studies, Oxford University. p. 20. ISBN 978-0-86372-006-2. ^ "گلستان". Anobanini.ir. Archived from the original on 28 February 2012. Retrieved 5 February 2012. ^ "Ethnologue report for Iran". Ethnologue.com. Archived from the original on 4 February 2012. Retrieved 5 February 2012. ^ "قزاق". Jolay.blogfa.com. Archived from the original on 25 October 2009. Retrieved 5 February 2012. ^ News Review on South Asia and Indian Ocean. Institute for Defence Studies & Analyses. July 1982. p. 861. ^ Problèmes politiques et sociaux. Documentation française. 1982. p. 15. ^ Andrew D. W. Forbes (9 October 1986). Warlords and Muslims in Chinese Central Asia: A Political History of Republican Sinkiang 1911–1949. CUP Archive. pp. 156–. ISBN 978-0-521-25514-1. Andrew D. W. Forbes (9 October 1986). Warlords and Muslims in Chinese Central Asia: A Political History of Republican Sinkiang 1911–1949. CUP Archive. pp. 236–. ISBN 978-0-521-25514-1. ^ "Kazakh Turks Foundation Official Website". Kazak Türkleri Vakfı Resmi Web Sayfası. Archived from the original on 13 September 2016. Wikimedia Commons has media related to Kazakh people. Soma, Takuya. 2015. Human and Raptor Interactions in the Context of a Nomadic Society: Anthropological and Ethno-Ornithological Studies of Altaic Kazakh Falconry and its Cultural Sustainability in Western Mongolia. University of Kassel Press, Kassel (Germany) ISBN 978-3-86219-565-7.